There are several places you can avail yourself of Ayurveda Panchakarma treatments in Rishikesh; but, we at Starlim India recommend only those Ashrams that run a genuine and professionally-managed Panchakarma treatment programme. The Ayurveda Panchakarma treatment in Rishikesh at Maa Yoga Ashram is run by registered and highly qualified Ayurveda doctors. Ayurveda Panchakarma treatments cleanse toxins from the body, strengthens the immune system, reverses the negative effects of stress and brings in deep relaxation, increase longevity and providing a sense of complete well-being. All the Panchakarma therapies are administered under the supervision of Ayurveda doctors and well-trained personnel. What is Ayurveda Panchakarma Treatment India? Ayurveda is an ancient Indian healing system that uses five (panch) kinds of actions (karma) to help you achieve optimum health and longevity. Ayurveda Panchakarma emphasizes preventative and healing therapies, as well as body purification and rejuvenation. Panchakarma forms an integral part of Ayurveda where the treatment includes detoxification, herbal massages and other therapies that keep a balance in body, mind and spirit. Ayurveda Panchakarma treatments at Maa Yoga Ashram treat sick bodies, and offer rejuvenation and relaxation programmes to restore physical and mental well-being. It is advised that you undertake Panchakarma treatment only after a full consultation with our well-trained, highly qualified Ayurveda physicians. The Ayurveda Panchakarma Treatment in Rishikesh at Maa Yoga Ashram begins with a consultation with a qualified Ayurveda doctor. From the moment you arrive at your consultation with your specialised Ayurveda doctor, your pulse is taken in order to diagnose your health. Next, the doctor observes your movements to evaluate your health. This includes examining your skin and eye colour, as well as facial lines, tongue, nails, lips, hair and nose. Finally, the doctor will ask questions about the symptoms and length of the suffering. Additionally, your doctor will assess your mental health. After a full consultation, the Ayurveda doctor will tailor treatment procedures for you, keeping your state of health in mind. Different types of Panchakarma treatment are carried out for different diseases; as for diseases of the stomach, treatment will be different from those of the head or joints. However, what is common to all is that your treatment involves the removal of deep-seated toxins. Toxins accumulate in the body because of a busy lifestyle and the buildup of toxins weakens the body, which damages health. Through Panchakarma treatment you can learn how to cleanse your body of toxins, restore your body and mind to their natural state of health, make positive lifestyle changes, and learn about nutritious foods. Ayurveda Panchakarma treatment is effective and long-lasting and can increase your energy, peace of mind and complete well-being. In Nature, there are various herbs which treat a wide range of diseases from the root level with no symptoms. All modern scientific parameters including every single present day examination are followed in the treatment. We offer Ayurveda and panchakarma medicines, treatments and back rubs in Rishikesh under the direction of qualified and govt. recognised & registered Ayurveda specialists, doctors & therapists. We have ashram accommodations which have very basic facilities – double bedroom with private hot water bath and toilet. In case Ashram rooms not available – accommodation/food would be arranged in a nearby hotel. » Breakfast – fruit salad and herbal arogyam tea, Porridge and Arogyam tea, Fruit juice with wheatgrass powder. » Lunch – Indian Thali or sattvic meal. » Supper – Khichdi and Veg soup, Steamed Veg, Veg soup. 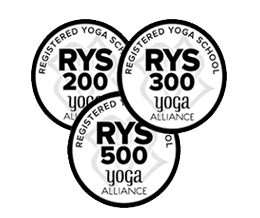 Maa Yoga Ashram (Rys 200,300,500) also offers ayurveda courses & personalized yoga teacher training registered with Yoga Alliance.